Caswell FRD (CFRD) are pleased to support the ASFP (Association for Specialist Fire Protection) by exhibiting at their 3rd Passive Fire Protection seminar event this year. After successful events in Perth and Sunderland, it’s now the turn of the Capital. CFRD Business Development Manager, Phil Johnson, will be at the venue (Aviva Insurance’s City of London offices – opposite ‘The Gherkin’ ) to network with consultants, contractors, designers, insurers et al and advise on all things ‘fire resisting ductwork’. Our resourceful engineers have even created a specialised transit case to transport a sample of our CASWELL FIRESAFE® non-coated ductwork to ensure it arrives in pristine condition* for this event. To be held on 4th September, it’s a sell-out with over 350 delegates registered to attend…so it should get a good viewing. 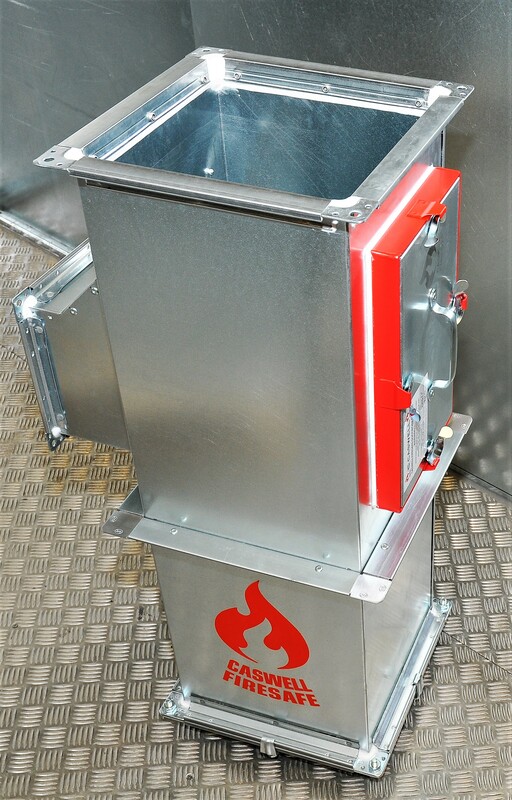 Caswell FRD is a licenced manufacturing partner of group company, Firesafe Fire Rated Ductwork Limited (FFRDL). Darren Webster, FFRDL Technical Manager and also Chair of the ASFP TG6 Ducts & Dampers Committee has been invited to present on the subject of Fire Resisting Ductwork. Given his roles in both capacities, he is well-positioned to give guidance on ductwork construction, applications plus the current and future state of fire test standards and legislation; including BS476:Part 24, EN1366 Parts 1&8 and CE Marking. * CASWELL FIRESAFE® ductwork is actually very, very robust…so that’s one pampered piece of ductwork right there.